I asked the Talk in French community in Facebook what the best advice they ever received in learning French, and the answers I got are quite good. Check out this list I compiled---it might be quite helpful for you, too. speaking to herself in French. She also watched French shows on TV, listened to French radio, read French newspapers. Now that there’s social media, it’s easy to do all that through Youtube and switching Facebook to French. I can’t agree enough. If you hope to be great at a language, you need to live, breathe, and eat that language (not literally). Not only is being immersed in French important, it also makes the process fun and far from boring. There are a lot of resources available everywhere now, so there is no more excuse not to do this---i.e. not being able to find anything to read, listen to, or watch. But if you’re still finding it hard to look for materials to do so, here is an article about How to Insert French Into your Day. 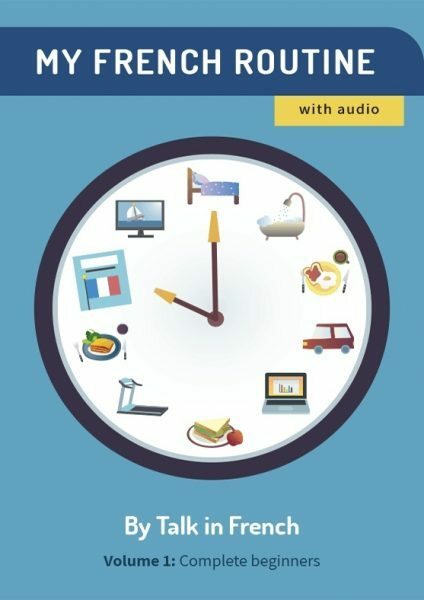 It contains tips and ideas on how to learn French throughout the day, plus where to look. One key thing to remember is to pick the right songs when using music to practise pronunciation. Sometimes singers tend to pronounce the song a bit differently from the normal pronunciation, for artistic purposes or to make the sound unique. So you have to watch out for that, too. Remember, making mistakes is part of the process. It’s better to say something quickly even if it’s full of mistakes than taking two hours just to make one flawless sentence. Look for someone willing to correct you---that person will become your best ally in your learning process. As with any other skill and talent on earth, practice is always the key. ​This golden piece of advice was offered by Beth McKinley, and I couldn’t have said it any better. I get fed up when people start challenging some grammar points in French, saying it’s weird or nonsense. If you studied English or other languages, you will surely see how weird even your very own language can be. In fact, French is actually easier on so many points compared with English. For example, how is ballet not pronounced like mallet or pallet? And how is the plural of box, boxes while ox is oxen? Don’t get me started about goose and geese and mouse and mice! Every language has its own weirdness, not just French. So the best we could do is just accept it, learn to live with it, and embrace its quirks. This is absolutely true. At the early stages of your French lessons, learning phrases and sentences would prove very helpful at providing context and aiding your comprehension. This phrasebook would surely help, too. I couldn’t agree more. The way people talk can be very different and culture is a major factor. If you try to understand the mindset of the locals, it can help you adapt to their way of speaking the language. Reading provides wonderful insights in this regard. ​Every journey starts with one small step. You’ve heard that being thrown around a lot, but it’s true. Don’t worry too much about the rules; you will learn them along the way. But you have to start somewhere. 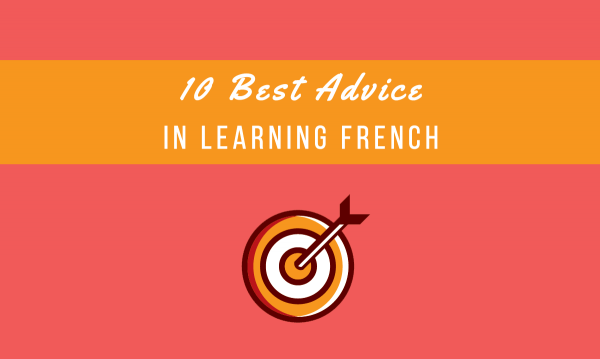 For more tips on how and where to start studying French, here is a very useful e-book that would serve as your learning roadmap. ….and you read that right. It’s best if you don't try to translate word for word from your language to French. It can sometimes be very awkward when you do. Check out this article for some cringe-worthy examples: Embarrassingly Awkward English-French Translation Mistakes. Finally, this one is from me. If you’ve been looking around in this website for a while, you’ll notice a certain message that I keep drilling into readers: develop a learning habit and it will make learning French so much easier and less painful. But the best one that I could offer is the “My French Routine” learning series. Each volume has four weeks of daily lessons---short enough for the busiest French learner, but challenging enough to keep you consistently motivated. Each lesson includes a good mix of grammar and vocabulary plus exercises and lots of audio for listening and pronunciation practice. For the BEST hacks, tips, and advice on how to learn French, grab your copy of FLUENT IN FRENCH!